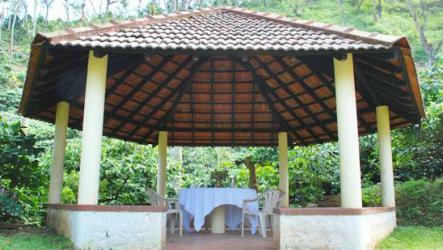 Spice Village Bungalow near Madikeri is a heritage bungalow reflecting the Kodava Heritage and the Kodava Hospitality. 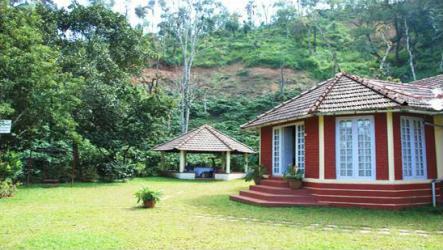 Come date the nature, enjoy the kodava hospitality, engage in a bit adventure and taste the sumptuous Coorgi cuisine. 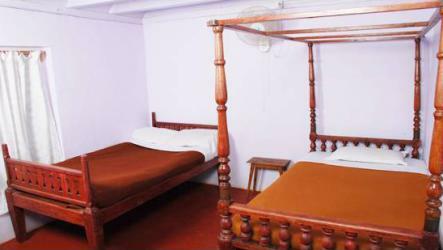 The rooms in the bungalow are rustic and have got a heritage look. 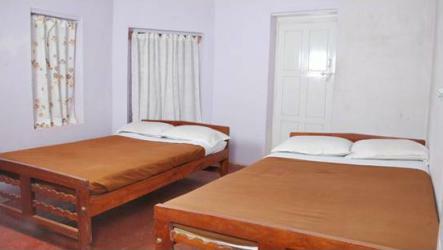 Spice Village Bungalow has 4 bedrooms, 1 hall with 2 beds and a living room and a kitchen. 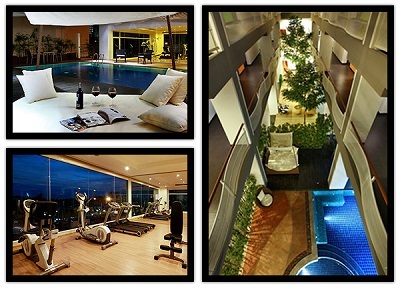 There are 3 attached bathrooms and 1 detached toilet. 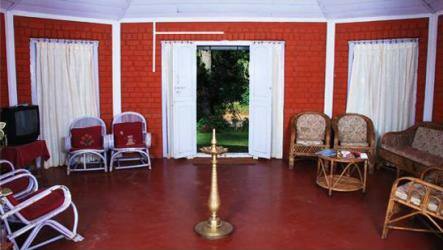 The dining area is outside the bungalow and the food is served in buffet style. 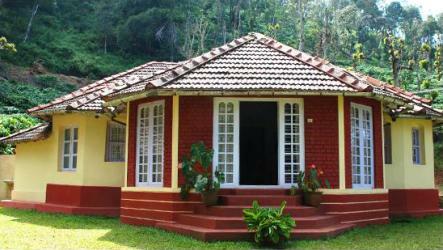 The bungalow reflects a typical Kodava house.